We reach Part Four of The Secret History Of Rock Paper Shotgun, a retelling of the first few months of the site, as recalled from the emails at the time. You can read parts One, Two and Three, for chronology’s sake. Today, the site has launched! And gosh, we’re at each other’s throats. Readers start arriving, our reputation starts building, and then we get an email that changes everything. “I’ve just added pics to the two top stories on RPS, on launch day. We were ever the most professional of websites. That was a grumpy email I sent on Monday, 20th August, 2007, the day we told the world Rock Paper Shotgun exists. “I’m not entirely sure that an enormous picture of Trip Hawkins which you have to scroll past is how we’d want to invite people to the site either,” replied Kieron. Gosh, looking back at it, all the exchanges were so snippy. I feel no pride whatsoever about my tone. I think we were likely feeling the pressure. Although saying that, I’m pretty sure passive-aggression and sniping was ubiquitous in how we communicated throughout those early years. Creative types. In this instance, both had started writing a post about Mafia at the same time. We had absolutely no method of organisation. We were mostly talking by email, individual IM windows, and the phone. Because, at the time, there was no Slack, no Discord, no Trello. Our first solution, as best as I can recall, was an open IRC channel. Kieron’s suggested solution to accidental clashes was to stake our claims to an article by writing an aggressive title into the CMS. “I AM WRITING QUAKE 5” was his example. A system of bagsying. God that’s so RPS. Clearly these are not numbers anyone would want to boast of, but in an hour that felt pretty good! Still we argued away in the background, a lot of storming still to do before we could begin performing. Although in between the snarky missives there were more positive, upbeat exchanges, alongside incessant exchanging of ideas, and forwarded kindly notes from friends and strangers. Then Kotaku linked us. That was September 2nd. It was significant. It was an established site recognising us as a peer, and recognising some of our BioShock coverage had been unique amongst the rest of the industry. Thank you Maggie Greene. Other sites started linking in, and while we were still very small fry, the industry was beginning to take us seriously. And we were being canny about it. PR firms and big name games weren’t going to waste their time talking to us while we were tiny, so we focused on lesser-known games, or the titles on a PR’s lists that the other sites were ignoring. We wrote about what we found interesting, and we wrote it in ways we found interesting to write. People were reading us. Editors at other outlets were getting annoyed by our scooping them, trying to wield power they no longer had. It was working. By the 8th September we were averaging 5,000 to 10,000 pageviews a day. Tiny by any standards, but it was an extant readership. And then something very big happened. Valve happened. While Valve was, of course, the absolute apex of PC gaming, it’s crucial to note that Steam at the time wasn’t all that big of a deal. But it was about to be. In 2007 it carried a handful of third-party games, and it had been big news when 2K announced they’d be releasing BioShock on that platform. 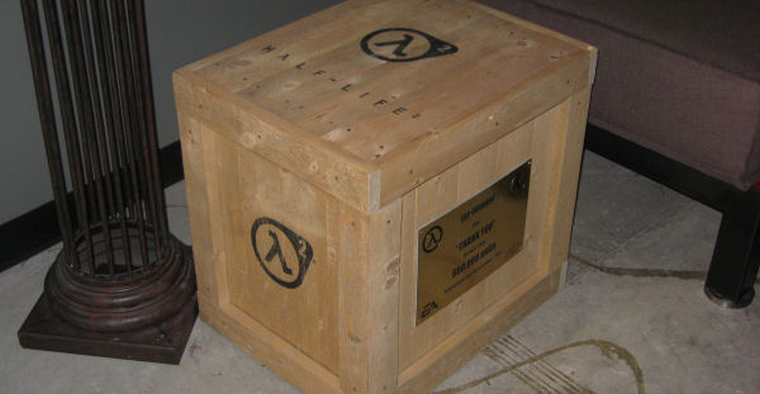 But wasn’t until something called The Orange Box was announced that everyone wanted Steam on their PC. “Congrats on the launch of the new site. We should have you all over for a visit some time soon. I really don’t think we can underestimate how significant this was for the early success of RPS. We were, as a website, nobodies. Looking through the emails of that first month, we couldn’t even get PRs to let us send emailed Q&As to known developers. Our reputations had weight, but our web traffic did not. And then, somehow, we were being offered the biggest reviews on the planet, in time to compete against all the biggest players on the planet. I sent an email to the others, titled, “Um, so this is quite big”. We were so convicted of our determination to be different that there was even a moment of wondering if we should grab this with both hands and both feet because it went against our self-determined remit. “It seems that no one objects to my going, which is excellent – hooray! Kisses for everyone. So, if this doesn’t fall through (eg. he realises that we’re not IGN or something) I will obviously be getting as many interviews for RPS as I can. With this in mind, I’ve started a Google doc for people to put excellent questions into. But it really did present a dilemma! While it was still only three weeks since we’d launched, we’d made quite the thing internally about how we wouldn’t review games. We hated scores, we wanted to talk about games. And yet here was our biggest opportunity, that revolved around reviewing three of the biggest games of the year. Maddeningly, the discussions that led to our somehow deciding “Wot I Think” was the best possible direction all took place in the pub, so I don’t have a record of them. But safe to say, we compromised, and recognised reviews for what they were: our opinions. With a decade each of games criticism behind us, we all strongly understood that reviews were as subjective as writing could be, and wanted to make that central to our ethos. The name was intended to make clear that not only were our reviews opinions, but they were individual opinions. As in, just because, say, Kieron thought a game was great, it didn’t mean RPS thought a game was great. We could disagree with ourselves – a concept that was utterly alien to games journalism at the time. And as for the misspelling of “What”? Spelling it correctly just felt so bloody arrogant. We were pricking our own pomposity with the goof. As for the Valve trip, it all went well. I played Portal and Half-Life Ep 2 through while I was out there, and interviewed Portal’s leads Jeep Barnett and Kim Swift. Oh, and I interviewed a certain Gabe Newell, too. Which, and I can’t prove this, I think was something only RPS got to do. And gosh, it brought in some readers. Tagged with feature, the secret history of RPS.